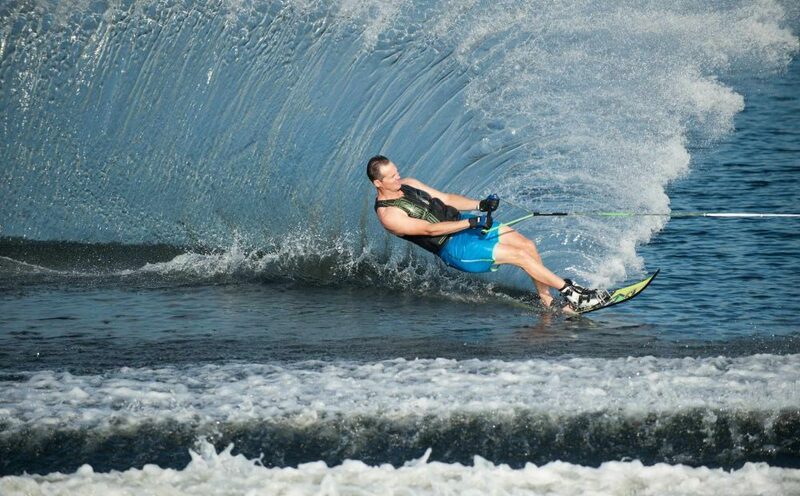 Slalom Skiing is initially taught on two skis. As you master the balance and posture needed you will move on to skiing on one ski. 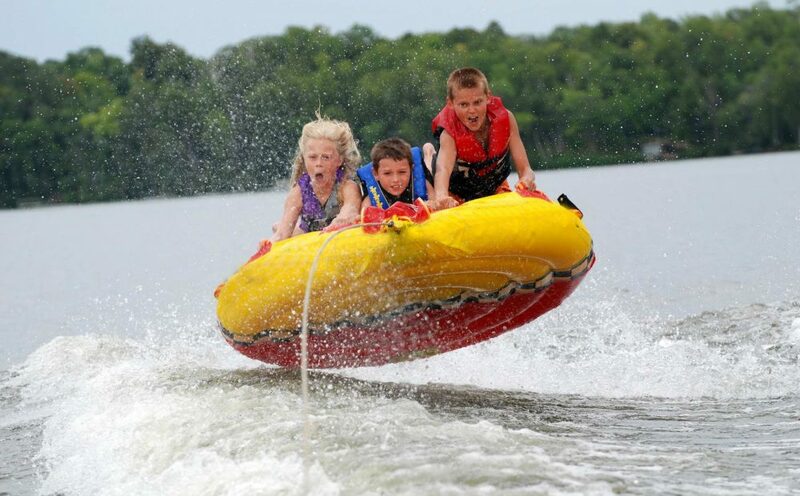 Once confident on one ski you can advance to racing against the clock, in and out of buoys. Barefoot skiing is one of the most exhilarating forms or waterskiing as the boat speed increases and you are on your bare feet. Beginners usually start by using the training bar on the side of the boat which gives you the initial feeling. 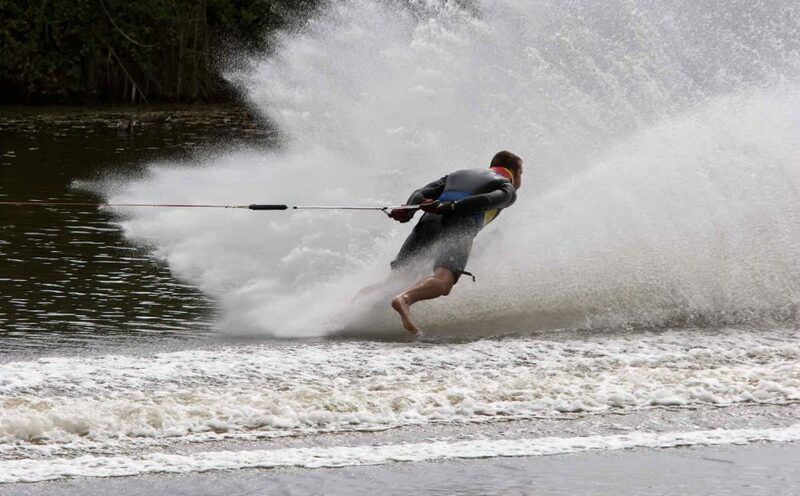 Barefoot skiing can also include various surface tricks and jumps with the use of ramps. On one or two skis, Trick skiing involves 180 and 360 degree turns, twists, jumps, holding the rope with your toes, skiing backwards, all in quick succession. Freestyle gymnastics on water! Wakesurfing is a water sport in which a rider trails behind a boat, riding the boat’s wake without being directly pulled by the boat. 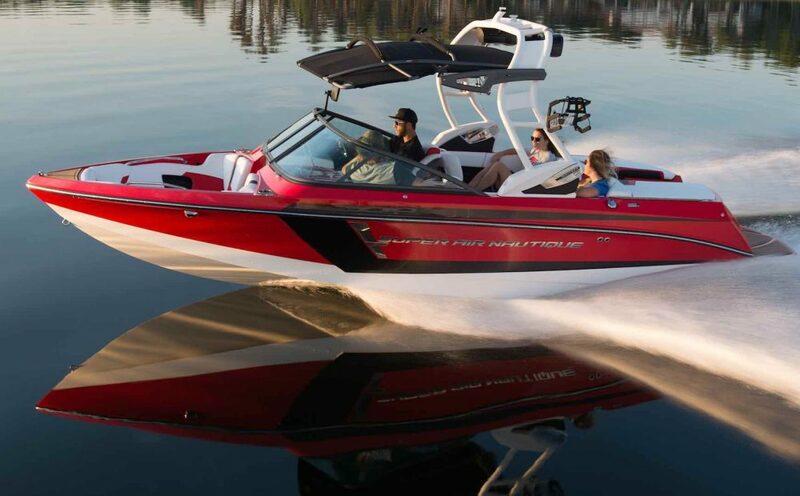 After getting up on the wake, typically by use of a tow rope, the wakesurfers will drop the rope, and ride the steep face below the wave’s peak in a fashion reminiscent of surfing. When kneeboarding you are in a kneeling position on a board facing the boat, this can be great fun for anyone. 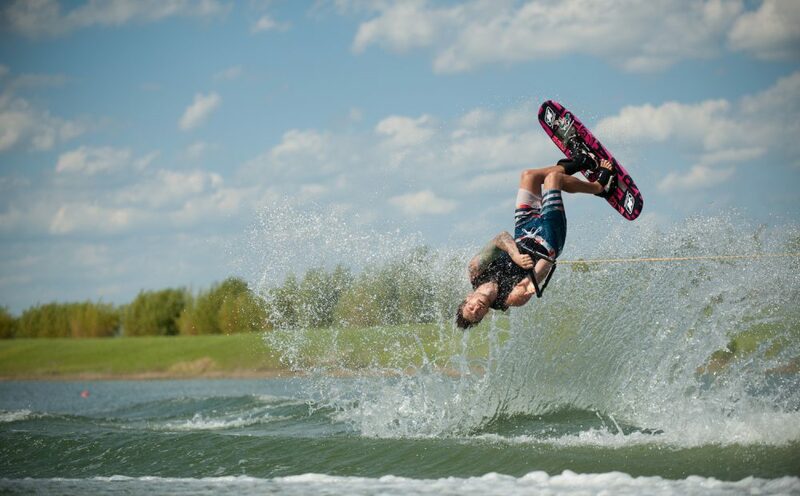 By having a lower center of gravity it is possible to do many fun tricks from rotations to flips. Groups, parties or just a one off session, we are able to provide a variety of inflatables to suit your riding preferences, including the 3 Seater Shield, a 4 Seater Sofa and the popular 6 Seater Banana. 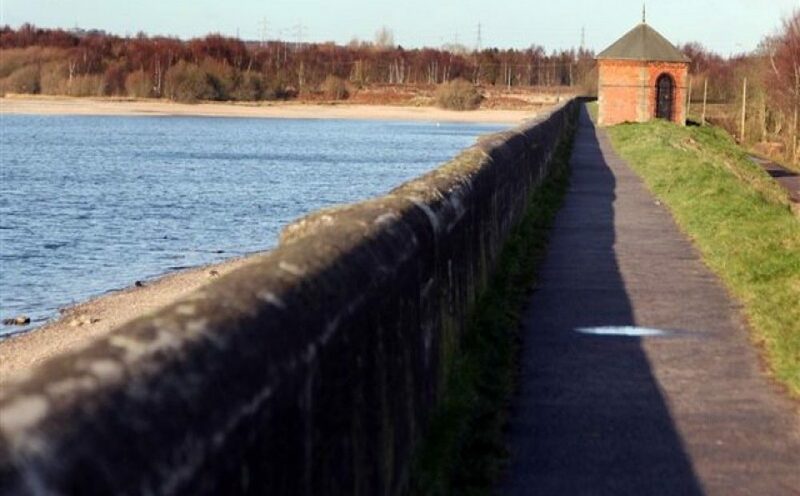 Ideal for parties, all sessions last for 15 minutes but time can be increased on the water. If you’re looking for a thrill seeking experience, why not try our speed boat ride for only £3.00 per person. This is a great start if you are looking to participate in our other activities.